Global streaming content provider Netflix is making a push to deepen its business relationships with anime production companies in Japan. On Wednesday, Netflix announced a continuing partnership with anime studios Production I.G and Bones in a press release. Netflix's partnership with Production I.G also involves the latter's subsidiary, Wit Studio. Last summer, Netflix announced that it will be launching anime titles produced by two of the studios. B: The Beginning, produced by Production I.G, will debut on the platform on March 2, while A.I.C.O. : Incarnation by Bones will be available beginning March 9. No production has been announced for Netflix's partnership with Wit Studio. 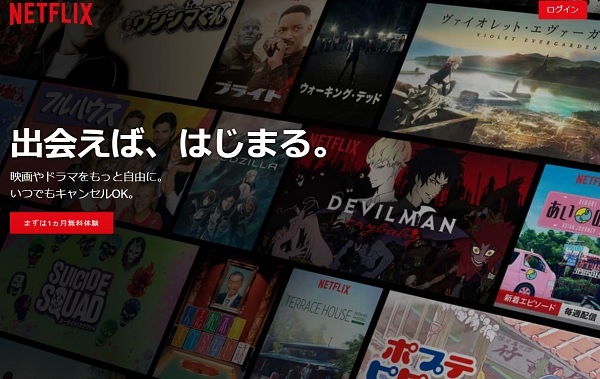 Netflix's entrance into the anime market was first oriented toward securing distribution rights for existing popular works. In a later effort toward original content development, Netflix began acquiring exclusive distribution rights of anime titles such that these titles would not be broadcast on television. One most recent example is Devilman: Crybaby, which began streaming on the platform earlier this month. According to journalist Takashi Sudo of the Animation Business Journal, since Netflix entered Japan in 2015, it has chosen to build direct relationships with anime studios rather than participating in the traditional production committee system. Netflix's partnerships are solely focused on the monopolization of distribution rights for the titles they are acquiring. Derivative businesses such as merchandising are left in the care of the studio. In a letter to investors last week, Netflix reported that streaming revenue in 2017 grew to US$11.2 billion, a growth of 35.6 percent year-over-year. In addition, global paid memberships grew to over 110 million users, an increase of 24.2 percent year-over-year. I'm not complaining, as long as roll out dates are the same or similar for Netflix Australia. I prefer to be paying for a handful of streaming services rather than digital services like foxtel, which I barely even use because the 1% of available content I would actually watch is accessible across streaming services or I could just rent/buy on itunes store. If Netflix can ensure better animation just like we see in Violet Evergarden then I have no complains. The fact that they are collaborating with I.G. Production and Bones can only be promising, I think. KyoAni made Violet Evergarden, Netflix only streaming this anime like ex. Crunchyroll other anime. And while the studio don't need to deal with the TV censorship maybe we will have more content that they can't show in Tv. PS: this paterneship doesn't mean more secuels, because the production comittee hold the IP of x anime (except if the studio produced any serie) and the studios they're just choose by the production comittee to animate x anime. does this mean the well deserved garzey's wing sequel animated by bones? Good, Netflixs budget provision should do wonders for the quality of animation. So more censorship and Western approved anime? Yep, Devilman Crybaby is basically the cersorship embodied. I don't see any of you getting worried about Netflix not doing simulcast with their anime content. If they could change this, that would be perfect because I like to see my anime weekly or sometimes as soon as they release. The only thing of value here is that the picture shows Netflix has Pop Team Epic, yet it is invisible to me from Norway, so I've unsubscribed from Netflix permanently. After delaying Violet Evergarden a whole season as well I'll just locust all the Star Trek content and leave. Absolutely no good anime on Netflix, at least from what I can see that is available in my region, and adding two mediocre studios' anime will not help. I was skeptical about Netlix's involvement in anime, especially after that Neo Yokio mess. But it didn't take long for them to redeem themselves with Devilman Crybaby and Kakegurui, two very strong, audacious titles. Now it appears that they might actually save anime from its timidity, and so-called merchandise ad shows. The Neo Yokio thing was brought together by Ezra Koenig and Jaden Smith. They're the ones who got in contact with Prod IG / Studio Deen with the idea to make it. Where as this will all be in house and those studios calling the shots. I mean. We can't blame studios who get commissioned big money to make someones fantasy project in all honesty. Also Kakegurui was just licensed by Netflix. I'm sure Amazon would've picked it up if they hadn't bought the rights to every other show that season. "Netflix began acquiring exclusive distribution rights of anime titles such that these titles would not be broadcast on television"
Oh, no... I don't like that! Netflix: "We're going to produce over 30 Netflix Original anime titles in 2018!" In reality: "We're actually just buying exclusive streaming rights, and slapping our "Netflix Original" label on it as if we had any hand in creating it." I hope they don't streaming all episodes for their exclusive series... really this is fun when somebody spoils final episode because they already watched it and you just start. Well it's also overseen by Netflix (Japan) and their branch. Or else it'd be much more suspicious. Now Attack on Titan got more budget since WIT Studio is practically under Production I.G. Talk about the unlimited budget.